Only a publicly funded BBC can tell the full story of World War One. The First World War started one hundred years ago. It was supposed to be the ‘War that would end all wars’, but, unfortunately, this wasn't so. Many British and Commonwealth soldiers, many UK and overseas people gave their lives during the 1914-1918 period. They made an incredible sacrifice that should never be forgotten. 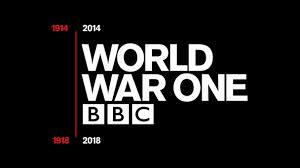 Last October I took part in the launch of the BBC World War One Centenary season , a programme that will last for four years, until the centenary of the end of WW1. Over that time the BBC will show us some of the sacrifices made by those who fought for the allies, and how the great war changed the UK forever. What the BBC is doing, in conjunction with the Imperial War Museums, is the right thing. It is important that the BBC makes the programmes that commercial TV cannot make. It is an excellent example of what publicly funded TV can achieve. Can you imagine for a moment a commercial TV channel organising a four-year event like this; with different local stories for each region, and special websites for many cities like Manchester , with videos and blogs telling the story of WW1, with debates among historians like Sir Max Hastings and Niall Ferguson on the timeline and decision-making process to enter the war. Commercial TV channels must follow market rules, and a WW1 event, lasting for four years, could never get funding. It's not a criticism of commercial TV, just a reason to have a range of suppliers of TV both public and private. This WW1 event is also important because it tells us lots of interesting local stories. On BBC local TV, I have already learnt about the women's football team from Sutton Bond munitions factory in St Helens, and the Mayor of Preston, Harry Cartmell, sitting on a committee who decided who should go to war. When the BBC makes mistakes, politicians are quick to stick the boot in. It is equally important to praise them when they have done the right thing, like their coverage of the centenary of World War One.